“I have a consultation. Please come. Kagawa.” Taiichi Kurokawa(1908-1985), later managing director of National Mutual Insurance Federation of Nogyokyodokumiai (agricultural cooperatives), received this telegram on 9 January 1931. “Kagawa” written in the telegram was Toyohiko Kagawa (1888-1960), indispensable person for talking about cooperatives movement and cooperatives insurance business in Japan. The next day Kurokawa rushed to Kagawa, who lived in Tokyo for the rescue in the Great Kanto Earthquake. 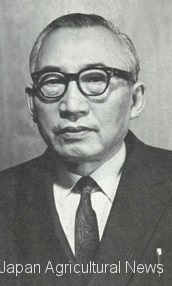 Yoshimichi Kodachi (1899 – 1979), who had worked on Kobe consumption cooperatives (current Consumers Co-operative Kobe) under the Kagawa, also visited Kagawa. Speaking of the early Showa era, the Great Depression had swallowed the farmers. There is the paper of Kurokawa that describes the voice of farmers. “Farmers can not earn enough money for buying one bat (the cheapest cigarettes at that time) by selling 100 bunches of turnip. 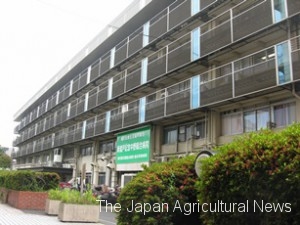 By selling 3 bales of barley, farmers can earn only 10 yen.” In the northeast area of paddy monoculture zone, there were young women who would go so far as to sell their bodies in order to help their parents out of financial distress. It became a social problem. In 1932, Kagawa issued a paper entitled “Crisis of national health” in the first issue of the monthly magazine “Medical Cooperatives Movement.” He described, “Poor workers and farmers are forsaken from medical practice. We must aim for rescuing people from medical hell.” At that time, maybe purpose of the paper was aggregation of the opinion at the time when the idea of medical cooperatives flashed on him. Kurokawa understood thinking of Kagawa. He looked for a suitable site. At the beginning, Kurokawa opened it in Shinjuku but it failed. So, he transferred it to the nearby of Nakano station of Japan National Railways. In parallel, Kagawa was preparing the establishment of “Tokyo medical utilization cooperatives.” Inazo Nitobe (1862-1933), president of Iwate branch office of sangyokumiaichuokai (general association of cooperatives), was appointed as president of the medical cooperatives. Kagawa became senior managing director. He submitted application of establishment to governor of Tokyo. It was 4 months later since Kurokawa had been called. By borrowing the auditorium nearby of Nakano station of Japan National Railways, they opened “Large lecture meeting for establishment of Nakano General Hospital.” Nitobe and Kagawa made speech. They executed unique activities typical of cooperatives hospital which profit-oriented hospital couldn’t imitate. Once a month, the hospital run home visits to examine the growing situation of newborns. The hospital responded the children care consultation and opened a seaside school in the summer. Aiming for preventing the disease instead of curing the disease, the hospital opened the family medicine lecture course. Its popularity was boil. Opposite of the medical association became stronger and stronger. However, the belief of Kagawa was unwavering. He believed that medical action had to be solved by the cooperatives. This hospital became current “Nitobe Memorial Nakano General Hospital,” a core medical institution in the region operated by Tokyo medical co-op. Kagawa was born in Kobe. After death of his father at his age of 4 and death of his mother at his age of 5, he moved to Tokushima where his father’s parent’s house was located. Affected by the American missionaries, he became a Christian during former Tokushima junior high school age. He lived in the slums of Kobe as a student and began to evangelism. In 1914, he traveled to the Unites States. 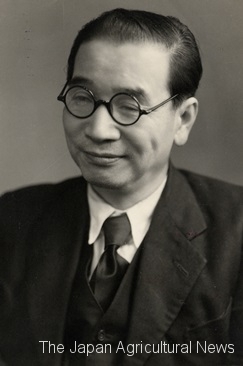 After studying at Princeton University and so on, he went back to Japan and returned to the slums again in order to threw himself into the weak relief movement. Facing the life of the common people suffering from rice riot, he established purchasing cooperatives Osaka public interest incorporated in 1919 and purchasing cooperatives Kobe in 1920. He also focused on consumption cooperatives movement. When the Great Kanto Earthquake occurred in 1923, Kagawa in Kobe rushed to Tokyo two days later, and began rescue activities. Kurokawa met with Kagawa at that time.